Our range of products include echo leather dog playing toys, leather suede dog playing toys and cotton dog playing toys. 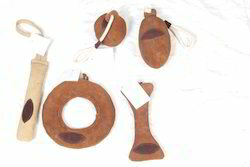 Our clients can avail from us a superior quality range of Echo Leather Dog Playing Toys. This dog playing toy is made by consuming the top notch leather and innovative technology according to the market norms. Along with that, our presented dog playing toy is provided at diverse packaging options to choose from. Moreover, this dog playing toy is provided at customization options & specifications at reasonable rates. We are one of the leading manufacturer, exporter, and suppliers of a premium quality range of Leather Suede Dog Playing Toys. For manufacturing this dog playing toy, our team people utilize only best materials and latest machines according to the market standards. In addition to this, the offered dog playing toy is successfully made according to the stipulations specified by our customers & provided at affordable rates. 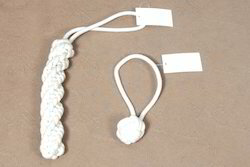 Backed by a team of experienced professionals, we are offering a qualitative assortment of Cotton Dog Playing Toys. The dog playing toy provided by us is manufactured at our working place & widely applauded for its uniqueness. Our team people utilize the best material and newest machines under the keen observation & management of experts. This dog playing toy is accessible at various specifications & customization options. Our customers can purchase this dog playing toy from us at pocket friendly rates. Looking for Dog Toys ?